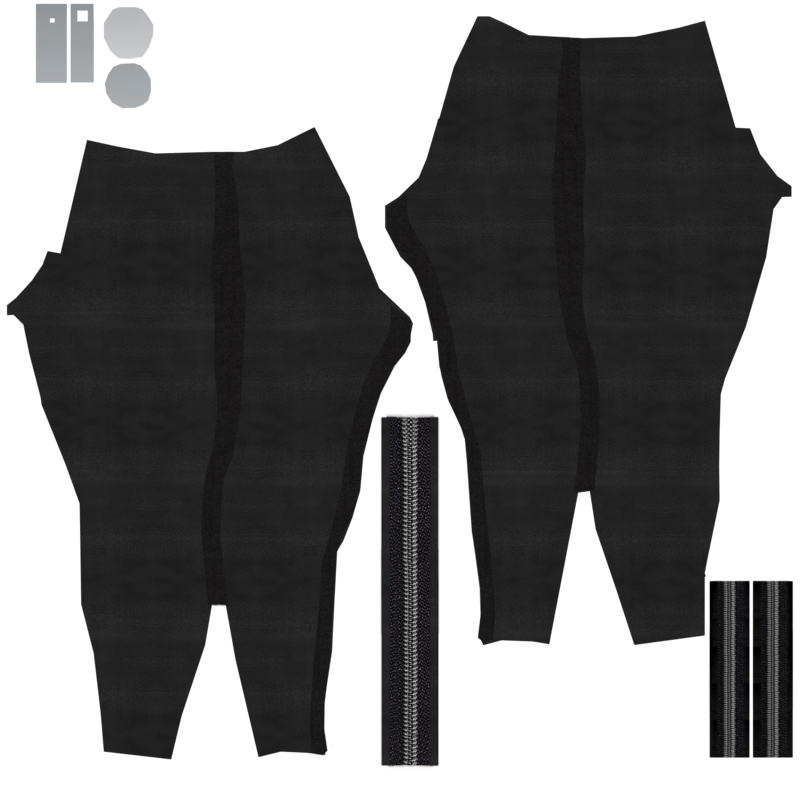 These motorcycle pants are made for females. It should be combined with the Motorcycle Jacket. Delete groups are used. In Blender assign zippers to a silver-like material. A normalmap is added and is made visible using the leather litsphere. If you want to use Mindfront's biker boots, you have to enlarge the upper part of the boots (see demo picture).